Big Ben….The Palace of Westminster has been home to the English Parliament after the royal residence moved to White Hall Palace in 1547. The old palace was destroyed by fire in 1834. 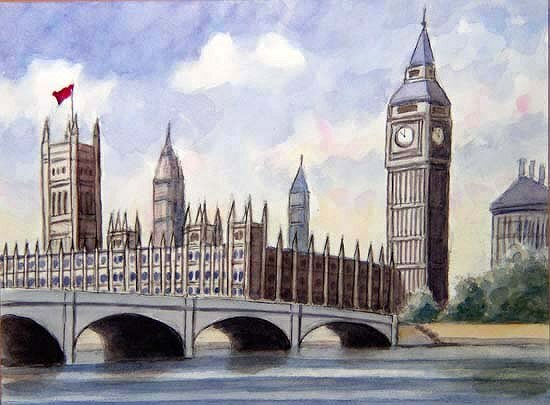 The present House of Parliament was built in 1840 to 1888. Big Ben is a name given to a bell in the clock tower, later became the name of the whole building .